The history of Madagascar is distinguished by the early isolation of the landmass from the ancient supercontinents containing Africa and India, and by the island’s late colonization by human settlers arriving in outrigger canoes from the Sunda islands between 200 BC and 500 AD. These two factors facilitated the evolution and survival of thousands of endemic plant and animal species, some of which have gone extinct or are currently threatened with extinction due to the pressures of a growing human population. Over the past two thousand years the island has received waves of settlers of diverse origins including Austronesian, Bantu, Arab, South Asian, Chinese and European populations. The majority of the population of Madagascar today is a mixture of Austronesian, Bantu, North Indian, Arab and Somali settlers. Centuries of intermarriages created the Malagasy people, who primarily speak Malagasy, an Austronesian language with Bantu, Arabic, French and English influences. Most of the genetic makeup of the average Malagasy, however, reflects an almost equal blend of Austronesian and Bantu influences, especially on coastal regions. Other populations often intermixed with the existent population to a more limited degree or have sought to preserve a separate community from the majority Malagasy. By the European Middle Ages, over a dozen predominant ethnic identities had emerged on the island, typified by rule under a local chieftain. Among some communities, such as the Sakalava, Merina and Betsimisaraka, leaders seized the opportunity to unite these disparate communities and establish true kingdoms under their rule. These kingdoms increased their wealth and power through exchanges with European, Arab and other seafaring traders, whether they were legitimate vessels or pirates. 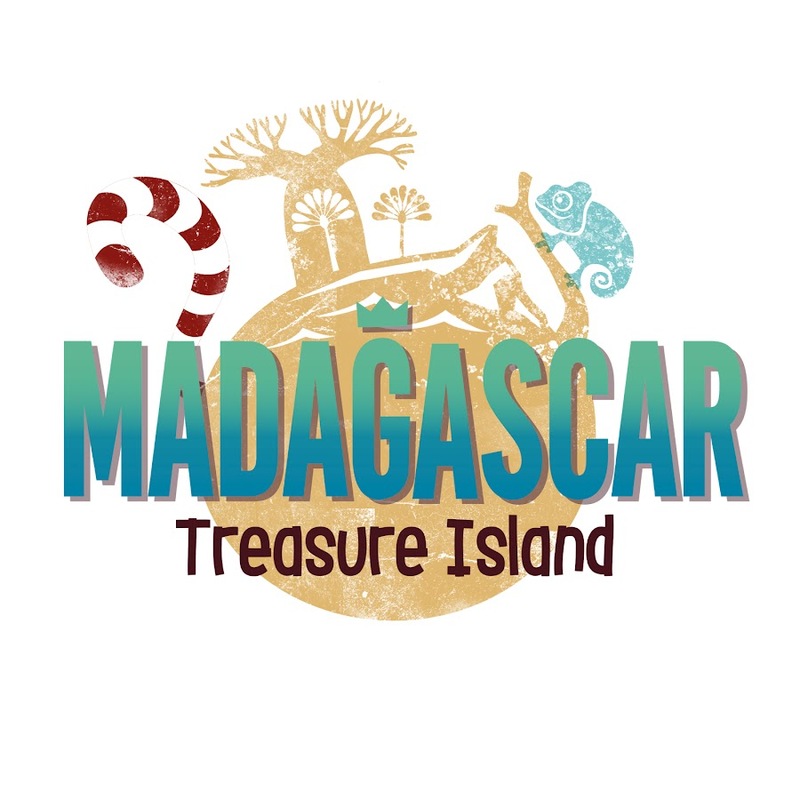 Between the 16th and 18th centuries, pirate activity in the coastal areas of Madagascar was common and the celebrated free pirate colony of Libertatia was established on Saint Mary’s Island, originally populated by local Malagasy. The Sakalava and Merina kingdoms in particular exploited European trade to strengthen the power of their kingdoms, trading Malagasy slaves in exchange for European firearms and other goods. Throughout this time, European and Arab seafarers operating in the Indian Ocean traded with coastal communities, and Europeans made several unsuccessful attempts to claim and colonize the island. Beginning in the early 19th century, the British and French colonial empires competed for influence in Madagascar. 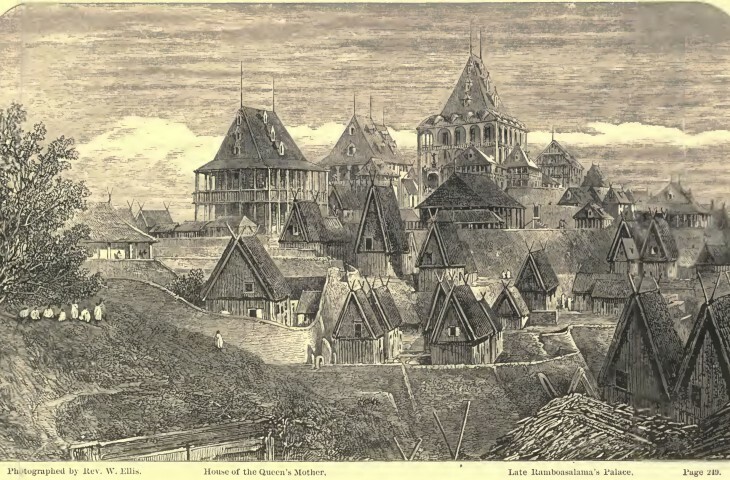 By the turn of the 19th century, King Andrianampoinimerina had reunited the highly populous Kingdom of Imerina, located in the central highlands with its capital at Antananarivo. 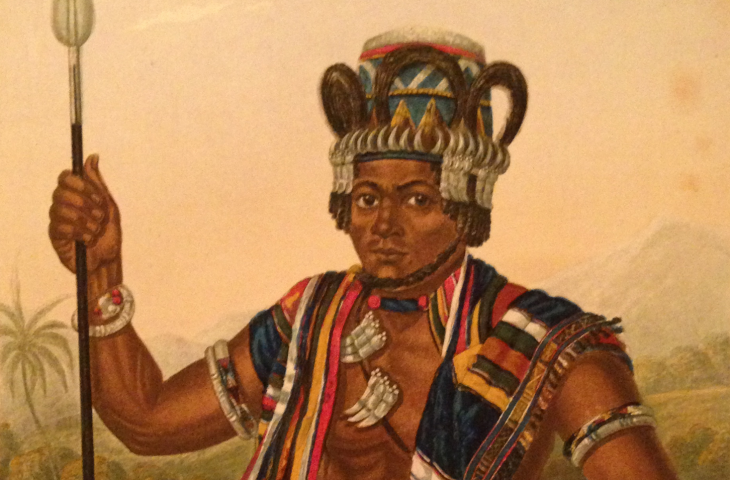 His son, Radama I, began to exert its authority over the island’s other polities and was the first Malagasy sovereign to be recognized by a foreign power as the ruler of the greater Kingdom of Madagascar. Over the 19th century, a series of Merina monarchs engaged in the process of modernization through close diplomatic ties to Britain that led to the establishment of European-style schools, government institutions and infrastructure. Christianity, introduced by members of the London Missionary Society, was made the state religion under Queen Ranavalona II and her prime minister, highly influential statesman Rainilaiarivony. Political wrangling between Britain and France in the 1880s saw Britain recognize France’s claim to authority on the island, leading in 1890 to formal French protectorate status that was unrecognized by the government of Madagascar. The French launched two military campaigns to force submission, finally capturing the capital in September 1895. This sparked a widespread rebellion against French rule that was crushed in 1897; the monarchy was held responsible and dissolved, and the queen and her entourage exiled to Reunion and later Algeria, where she died in 1917. Under French colonization, Malagasy were required to fulfill corvee labor on French-run plantations, which generated high revenues for the colonial administration. Opportunities for Malagasy to access education or skilled positions within the colonial structure were limited, although some basic services like schools and clinics were extended to coastal areas for the first time. The capital city was largely transformed and modernized, and the royal palaces were transformed into a school and later a museum. Although Malagasy were initially prevented from forming political parties, several militant nationalist secret societies emerged, of which the most prominent was Vy Vato Sakelika, founded by Ny Avana Ramanantoanina. Many Malagasy were conscripted to fight for France in World Wars I and II, and during the latter Madagascar came under Vichy control before being captured and held by the British. At Brazzaville, De Gaulle gave colonies the status of overseas territory and the right to representatives in the French National Assembly; when a bill proposed by Malagasy delegates of the Mouvement démocratique de la rénovation malgache for Madagascar’s independence was not passed, militant nationalists led an unsuccessful uprising (1947-1948) during which the French military committed atrocities that deeply scarred the population. The country gained full independence from France in 1960 in the wake of decolonization. Under the leadership of President Philibert Tsiranana, Madagascar’s First Republic (1960–1972) was established as a democratic system modeled on that of France. This period was characterized by continued economic and cultural dependence upon France, provoking resentment and sparking the rotaka, popular movements among farmers and students that ultimately ushered in the socialist Second Republic under Admiral Didier Ratsiraka (1975–1992) distinguished by economic isolationism and political alliances with pro-Soviet states. As Madagascar’s economy quickly unraveled, standards of living declined dramatically and growing social unrest was increasingly met with violent repression on the part of the Ratsiraka government. By 1992, free and fair multiparty elections were held, ushering in the democratic Third Republic (1992–2009). Under the new constitution, the Malagasy public elected successive presidents Albert Zafy, Didier Ratsiraka, and Marc Ravalomanana. This latter was ousted in March 2009 by a popular movement under the leadership of Andry Rajoelina, then-mayor of Antananarivo, in what was widely characterized as a coup d’état. Rajoelina ushered in a Fourth Republic and ruled Madagascar as the President of the High Transitional Authority without recognition from the international community. Elections were held on December 20, 2013 to elect a new president and return the country to constitutional governance.